WordPress does not charge any money to use. It is a free platform that anyone can download from its website. There are also other free platforms available out there such as Tumblr, blogger, Wix and more. But if you want a professional looking website then the only WordPress offer this feature in it. The installation procedure of WordPress is as easy as A-B-C. You can get any type of support from its official site and from other different sources. If you see installation procedure of other platforms like Magneto, Prestashop the WordPress is far easier. Posting on WordPress is easier than its installation. You can add your content like you are typing it on Microsoft word, there are plenty of options are available like add text, change its style, color, font and much more. The thing is, it offers visual as well as text editor where you can choose you’re where you want to work. This plugins option is where WordPress beat other platforms. 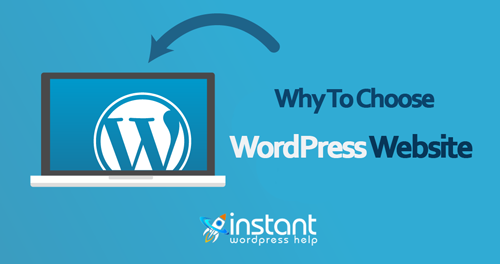 Because of this feature, you can change anything on your WordPress easily. There are a different variety of plugins are available out there, It is like adding a new feature to your site like you can add different apps on your phone to add different features to it. As mentioned in back more than 50% of sites on the internet are using WordPress platform, because of its easy usability and features on it. WordPress offers a variety of themes in it. There are lots of themes are free to use, also you can purchase premium themes from its market. Also, you can hire a web designer and developer to create a beautiful looking website for you. Because it is open source, lots of people are contributing their time in it. Therefore WordPress offers many features on it for free. WordPress comes from a variety of features and plugins and it has lots of free customization available for SEO. WordPress sites rank easily on Google. WordPress not only for bloggers, but you can also create a membership site, eCommerce site, forum and more types of sites in it.